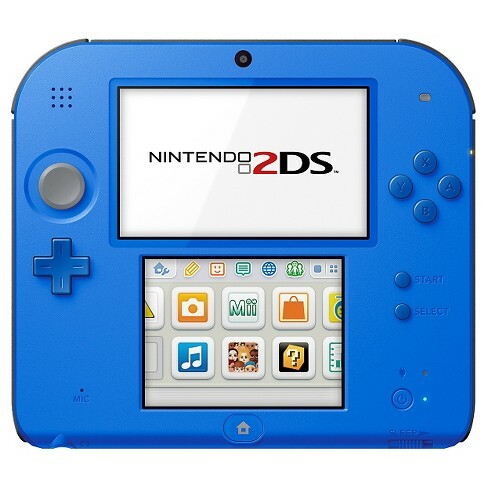 First in our line up will have to be the Nintendo 2DS, which in my opinion is the perfect starter for your tiny gamer. 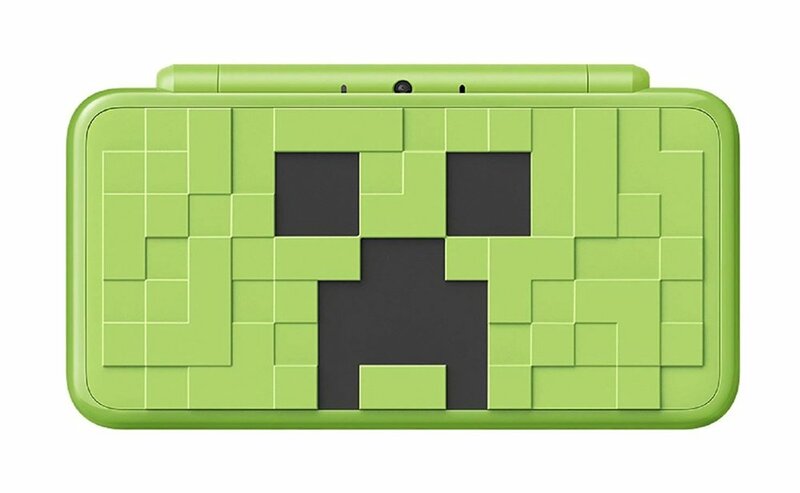 Nintendo has made it clear that this device is geared towards younger players because of it’s sturdy design, removing the hinge mechanism that DS consoles are known for. 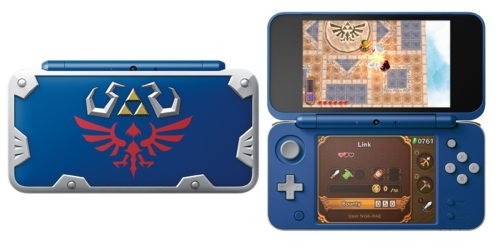 Most of the different variations of this handheld will contain a preloaded game, making it playable straight out of the box with no additional purchases necessary. 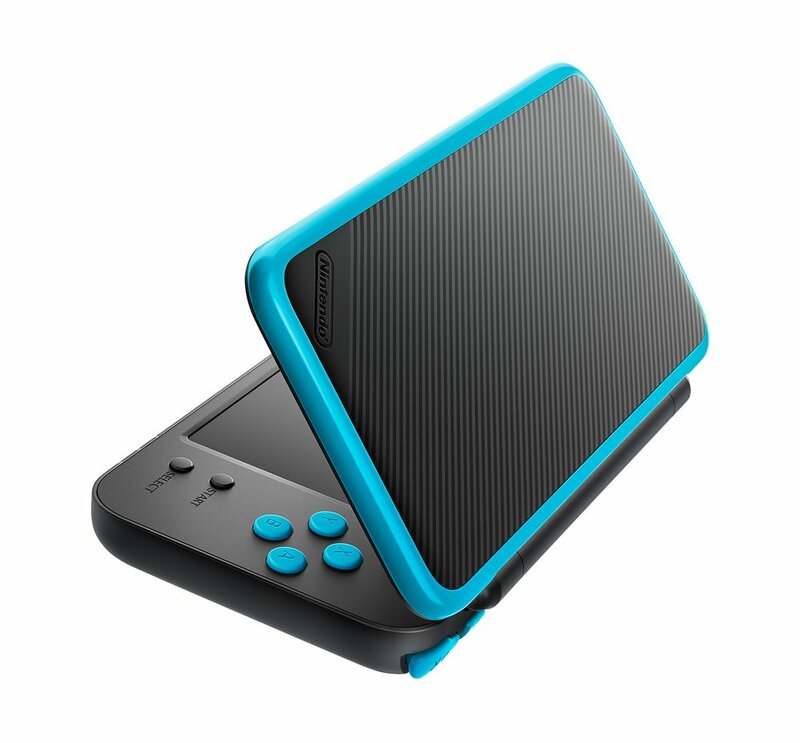 This version of the 2DS retails for $79.99, which is an amazing deal, considering that most of the games for this system retail for around thirty to fifty dollars. For those older youngster who ride the bus, or enjoy visiting the neighborhood children for a play session, this clamshell designed handheld is near perfection! 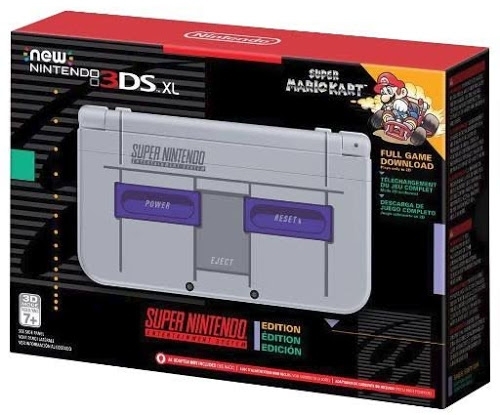 This system plays the vast library of DS games, as well as 3DS games, but without the 3D function that is NOT recommended for younger player, specifically under about 10 years old. The clamshell design adds an extra layer of protection for the two screens, and is a much lighter system for little hands! This variation of this device is my personal favorite, as the price point is slightly cheaper sans the 3D effect, starting around $159.99. 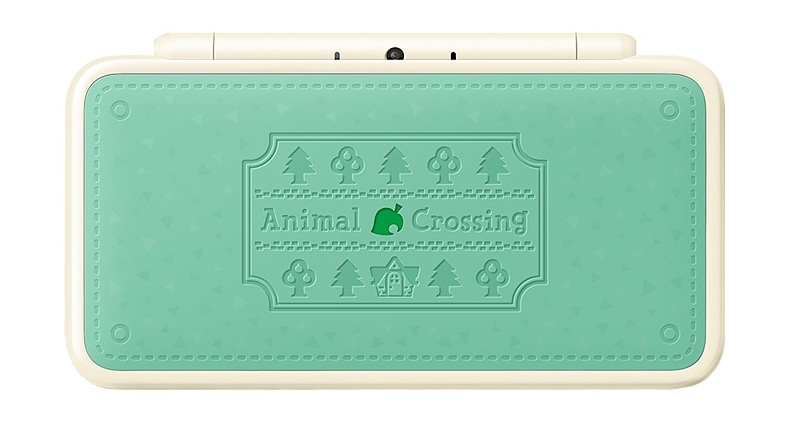 The 2DS model also comes in so many beautiful styles that I have trouble deciding which is my favorite! 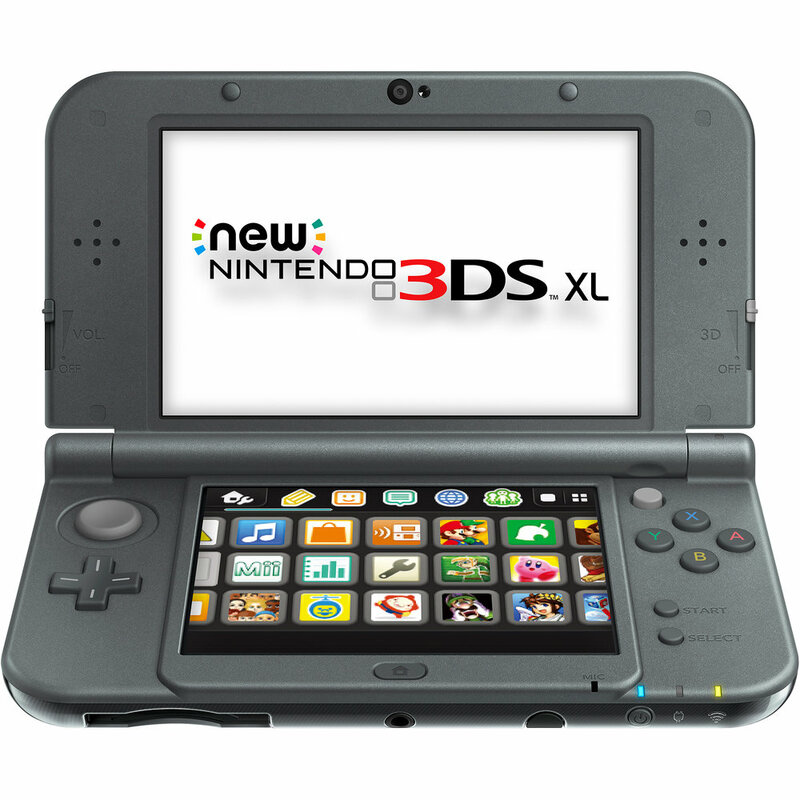 The 3DS console, specifically in the XL size, is fantastic for older kids that want something with a more sturdy feel. I found the weight to be noticeably different in this console in comparison to the other variations, which I think gives the console a more mature aesthetic. At the $199.99 price point, I would not recommend this for the younger kids, but maybe as a step up for your older, more responsible gamers. There are so many ways to personalize these systems, inside and out, which can be an awesome experience for new or experience gamers. Do keep in mind, as the “New” consoles are known to not include chargers, so take this into consideration when purchasing one of these bad boys. Yet, the "New" version of this console does have a longer battery life and a slightly better screen than the previous generation. For the advanced kid in your life, the Nintendo Switch is a great way to introduce them to gaming. Maybe you have a teenager who's friends won't stop talking about Fortnite, and now they are asking for the newest console on the market. My recommendation would be the switch, that offers games great for gamers of all ages and skill levels. New games are being released for the Switch on a daily basis, so there will always be something for your little gamer to sink their time into, like the title below, try them out! The Switch will run you a hefty $299.99, but since this console is at the beginning of it's life cycle, you won't have to worry about upgrading anytime soon. For all of you parents who were kids in the 80s and 90s, this is a fantastic way to relive some of your childhood memories, and share them with your little one! Each of these systems come loaded with some of the most popular games of the era, with two controllers so you and your kiddo can play together! This is a great option for replaying some of your favorite games without having to dust off the old console and figure out how to hook it up after trading in the tube tv for a flat screen. I think the $59.99 for the NES, and $79.99 for the SNES plus 30 built in games is an absolute steal! Classic games on to go is a fantastic way to expose your youngster to the games you played when you were their age, without them taking tv. With the accessibility of the Nintendo e-store, you can fill either of these systems with retro classics, and all the latest releases. As an added bonus, the Super Nintendo 3DS comes loaded with Super Mario Kart, which much like the 2DS models, is playable right out of the box! If you are not an ultra-nerd such as myself, you might not know that the Nintendo Company started its life as a toy manufacturer! They then developed into a video game company in the 1980’s, and the rest is history... no, seriously, you can read about it here! Even now, Nintendo has an incredible library of child-friendly games, and a plethora of lovable characters! Unlike its competitors, Xbox and Playstation, I find that Nintendo games are a great start for youngsters. Nintendo consoles are also a great home for all your child's third party educational games that can be carried along side them in a portable fashion. I know my mom found the Nintendo Gameboy to be a great companion for me as a rambunctious child on the 90’s, maybe you'll find the same success!